Want to know the art of refrigerator pickles? It’s really not that complicated it’s so simple you’ll want to start pickling every vegetable that you see. Pickling has been one of my go-to method in food preservation. It’s easy and doesn’t really require a lot of tools or supplies. Pretty much all you’ll need is a jar, the vegetable, some vinegar and a refrigerator. Seems easy right? But what if I tell you that there’s more to pickling than what you know now? 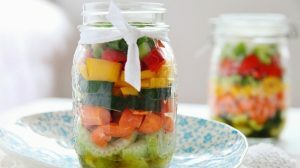 Allow me to share a few tips and tricks that will make your pickled vegetables taste better and make you a refrigerator pickle pro! But what if I tell you that there’s more to pickling than what you know now? Allow me to share a few tips and tricks that will make your pickled vegetables taste better and make you a refrigerator pickle pro! Allow me to share a few tips and tricks that will make your pickled vegetables taste better and make you a refrigerator pickle pro! This illustration was drawn by Bambi Edlund, originally done for Edible Buffalo’s fall issue. If the canning process seems way too time-consuming, consider the humble refrigerator pickle! Pour a vinegar-and-salt brine (with sugar, spice, and anything else nice) over a jarful of fresh produce, and store in the fridge. 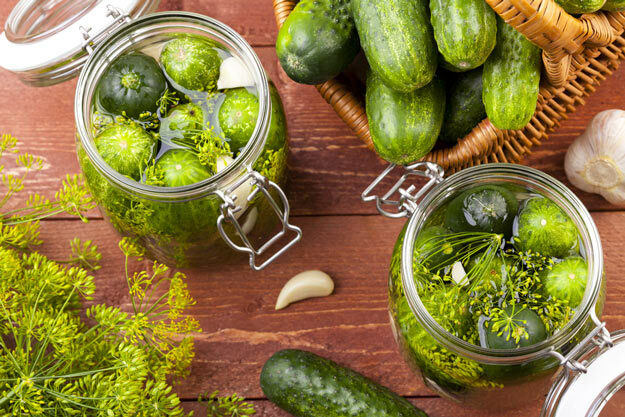 Most refrigerator pickles, if fully covered by brine, can be enjoyed for up to two months! ACID is what keeps bacteria at bay. When canning, it is imporant to carefully balance pH levels, but refrigerator pickles are much more forgiving. Play around with different types, and add some citrus to liven thing sup! SALT is a key ingredient in pickling. It adds flavor, and helps to draw excess water out of fruits & vegetables, making the pickles extra crunchy. Don’t be tempted by the wide variety of gourmet salts – use only kosher or pickling salt. Any other type will make the brine cloudy. Be sure to snip off the blossom end (bottom end) of the cucumber before pickling. It contains an enzyme that will soften the pickles. Don’t be afraid to heat things up with mustard seed, ginger, or dried chiles! A half-teaspoon of turmeric will hide any discoloration of pickled cauliflower. Use only the freshest produce – if YOU wouldn’t eat it fresh, don’t pickle it! Want to try another method of food preservation?